Renown psychic mediums, Kalila Smith and Sid Patrick, share their explorations and experiments into the spiritual world. The accounts written herein are actual experiences as they are recalled by those who experienced them. Their spiritual journey began with deep personal losses and a need to know what happens to our loved ones when they depart from us and what mysteries do we have waiting for ourselves. They decided to pursue the answers as a series of experiments designed to help them separate the facts and real experiences from the hype. In other words, they did what felt natural to them. The spirits who assisted with these experiments played an important role in bringing people together. Certain people crossed each other’s paths at specific times. Groups were brought together for specific messages. Without a doubt, there was a plan somewhere in place, although it was unknown to them at the time. They found themselves drawn towards certain circumstances and situations. In the end, they realized that during the entire time of their research and experiments, there were no accidents or coincidences. Let Kalila and Sid get you started on your own seance experiments. Follow world-renown author & paranormal investigator Kalila Smith into the mysterious world of spirits. This book is a concise “how to” manual for anyone who enjoys a good ghost hunt. * Learn the history of spiritualism. * Find out what is a ghost; what is not. * Learn the truth about poltergeists. * Discover how to conduct a paranormal investigation or a communication session with the dearly departed. * Find out what pitfalls to avoid when investigating a haunted location. It’s Mardi Gras! Discover Authentic New Orleans in Kalila Smith’s Tales of the French Quarter! Let Kalila Smith take you beyond the festivities into the heart of New Orleans in her book, Tales of the French Quarter. Allow Kalila Smith to take you on a personal tour of her New Orleans. Explore the food, cemeteries, swamps, bayous, Voodoo, monsters, ghosts, and the amazing cast of characters that make up the legends of the French Quarter. The French Quarter has intrigued many not only to write about it, but also spawned the desire for some to stay. Many a visitor has wandered into this magical place, only to find that they do not ever want to leave. Legend says if you drink the water in New Orleans, you must return. Some say that it is a curse put on the city by the famous Voodoo queen, Marie Laveau herself. Check out the interview Alexander S. Brown did with Kalila Smith! On Tonight’s Full Moon, Beware of Werewolves! Check out Dark Oak’s Luna’s Children Anthology! When the full moon rises, werewolves own the night. Let Dark Oak transport you to their world with the double werewolf anthology, Luna’s Children, edited by D. Alan Lewis. 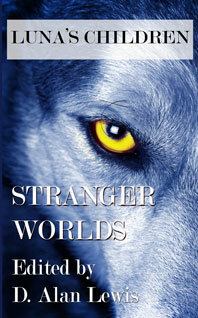 Luna’s Children: Stranger Worlds takes the stories of the werewolf and turns them in their pointy ears. From the American Old West to the Victorian-era streets of London, from the Far East to worlds undiscovered, from steampunk to Nazis, Stranger Worlds takes us on 21 horror-filled journeys from the twisted minds of some of the best writers. Luna’s Children: Full Moon Mayhem is a collection of 22 stories of the werewolf. 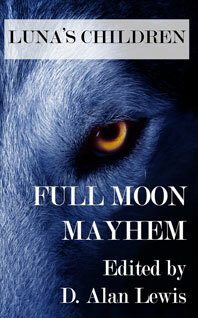 From the halls of a local high school to the bowels of a Civil War-era church, from the desserts of the American Southwest to the distant lands across the seas, from the horrors of the first kill to a lycanthropy support group, Full Moon Mayhem explores the many stories and possibilities of werewolves in the modern world.